← What Exactly is Laser Dentistry in Ponte Vedra Beach? 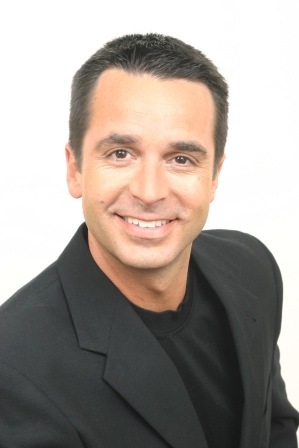 Dr. Eric Burgess, a leading cosmetic dentist in Jacksonville Beach FL, has recently completed training and certification in the Chao Pinhole Surgical Technique, also known as the Chao Gum Rejuvenation procedure. This revolutionary procedure has been featured on “The Doctors” show, as well on over 100 news channels across the country. Dr. Burgess is excited to bring yet another innovative cosmetic procedure to the Jacksonville FL area, offering hope to patients experiencing gum loss, or recession. In the past, these patients have had to suffer from long teeth, dark and ugly roots, uneven teeth, and temperature sensitivity, or endure multiple surgeries to correct the problem. 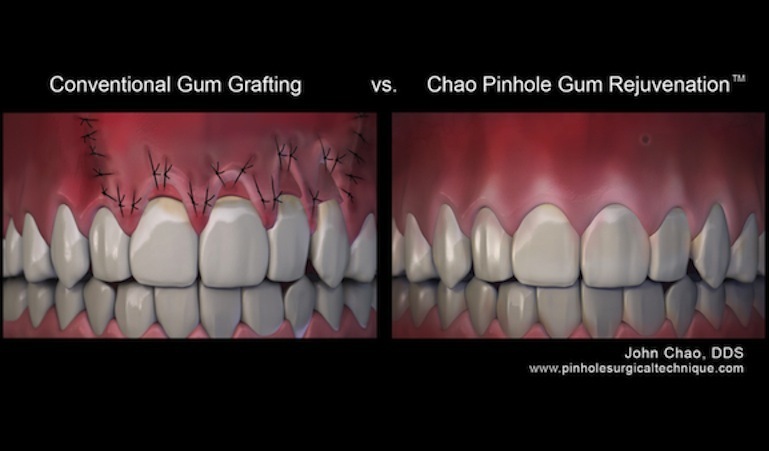 Unlike traditional gum grafting surgeries, the Chao Gum Rejuvenation procedure is quick, easy, and produces an instant result. Older grafting surgeries require two surgical sites, due to the requirement that a gum graft is removed off the top of the mouth and also from where the recession is located. Then the graft requires multiple stitches to hold it in place, resulting in swelling, significant pain, and a unpleasant cosmetic result for at least a month while healing occurs. Because of the difficulty of this procedure, only a few teeth can be treated at one time, so the surgery often has to be repeated one or two more times to achieve the final result. In contrast, with the Chao Gum Rejuvenation procedure, Dr. Burgess can now perform a minimally invasive procedure in about an hour. A small pinhole is made and then a specially designed tool is then used to loosen the gums and slide them into the desired position. Because there is not a gum graft or any stitches required, the cosmetic result is immediate and the patient can return to work the next day. In addition, most patients require nothing more than ibuprofen for the first 24 hours, a significant difference compared to traditional gum grafting surgery. To learn more about the Chao Gum Rejuvenation and other cosmetic oriented services provided by Dr. Eric Burgess and the Burgess Center for Cosmetic Dentistry, please visit http//https://www.burgesscenter.com or call (904) 273-3001. Eric Burgess, DMD is a dentist in Jacksonville Beach FL offering innovative, cosmetic-oriented, dental procedures to create healthy and beautiful smiles. Dr. Burgess graduated from both the University of Florida and the University of Florida College of Dentistry. In addition to the Chao Pinhole Surgical Technique, Dr. Burgess also offers non-surgical laser periodontal therapy, six-month power braces, Invisalign, laser and Zoom teeth whitening, Botox, Juvederm fillers, and complete smile makeovers. To learn more about Dr Eric Burgess and the Burgess Center for Cosmetic Dentistry, please visit http//https://www.burgesscenter.com or call (904) 273-3001.